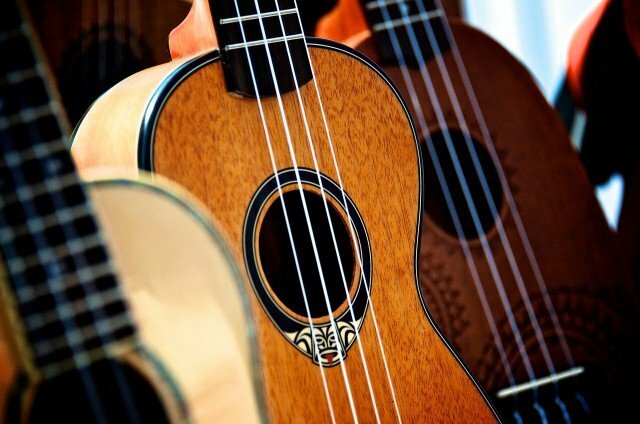 In celebration of The Westin Princeville Ocean Resort Villa’s 10th anniversary, an afternoon of music, art, food and fun at the Kaua’i ‘Ukulele & Arts Festival. Enjoy live performances by Kauai-based musician Michael Keale, Herb Ohta Jr., Jon Yamasato, Kanekoa and headliner Kuhio Travis. Featuring works by local Kauai artists. All ticket sales benefit Namahoe and Na Kalai Waa o Kauai in support of the perpetuation, practice and exploration of the seafaring arts and skills of ancient Polynesians. All ages welcome! RSVP: Call 808.827.8808 or visit The Westin Princeville Concierge desk. Princeville Ranch offers lots of adventures on the north shore of Kauai and off-roading is just one of them. Located between Princeville Resort and the Kalihiwai River, you won’t have to go far to have a lot of fun. I’ve written two blogs featuring Princeville Ranch’s horseback riding and zip line adventures. Now it is time to tell you about their off-road package which includes riding, hiking and zip lining. The company is owned by Karin Carswell, a local resident I am proud to call my neighbor and friend. Here’s a glimpse of what you’ll experience – not recommended for clean freaks! Looking for a place to grab a great tasting pizza or some local food, give the North Shore General Store a try. Unbelievably you will find the store/restaurant at the Princeville Gas Station in the Princeville Shopping Center. Enjoy your meal on their outside tables, take your choices to the beach or park, or bring them back to Honu Point where you can savor the flavor while watching the ocean view! Tom and I often order pizza when friends stop by to watch the sunset with us. 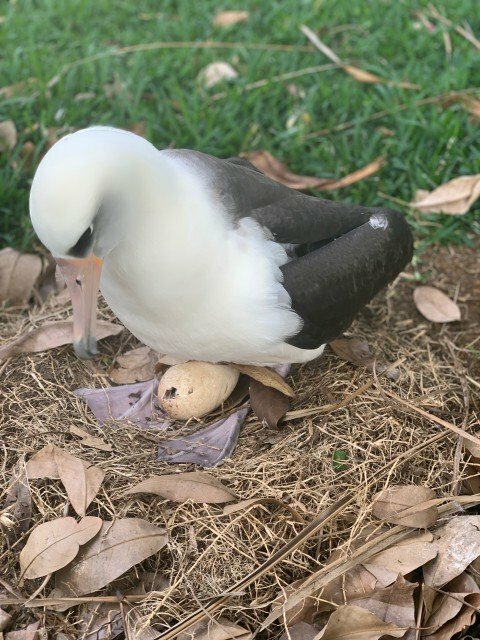 It has been three weeks since the albatross chicks were born on Kaweonui Road, Kauai, and I had to share my latest fix with you. After meeting my guests on Saturday I happened by this nest five houses down from Kauai Vacation Rental at Honu Point. Mom or Dad (not sure which) was sitting next to her/his chick when another albatross happened by. Best with sound. Soon the parents will be leaving these vulnerable chicks by themselves as they fly off to find food hundreds of miles away to bring back to their baby. When the Mom or Dad returns she/he will regurgitate the eaten food into the baby’s mouth. This will go on for months until the parents feel the baby is ready to fledge. At that time the parents will stop feeding the chick so that it naturally figures out it is time to leave the nest. From a nearby bluff it will take its first giant leap of faith. Feeling guilty about all the hours you will be relaxing on the beach when you come to Kauai? Schedule a class or two at Fit Lab Kauai and work out with the locals. You will have fun and be able to shed some of those Mai Tai calories! 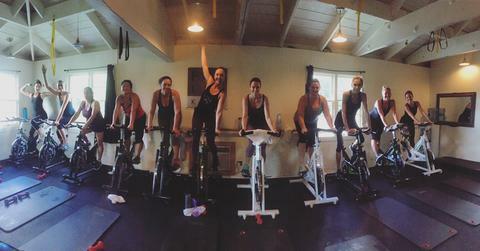 Fit Lab Kauai offers indoor cycling, barre, weight training and kickboxing classes throughout the week. The class levels range from beginner to high preforming athlete and can accommodate any age and skill level. Everyone is welcome! 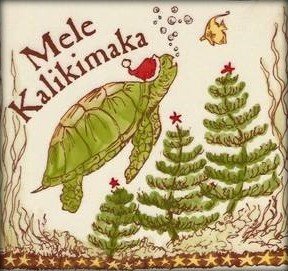 To all of our past and future guests at Kauai Vacation Rental at Honu Point, Tom and I wish you the most wonderful holiday season. We are appreciative of the fabulous guests we’ve had and look forward to meeting new friends in 2018.